Henley High School is a local Government School for 1400 students in Years 8 to 12, including 75 International students and 25 students with significant learning difficulties in our Supported Learning Centre. 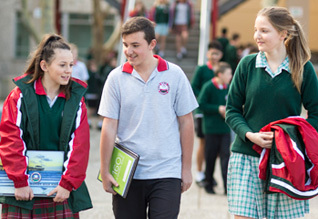 The school is situated close to Henley Beach, the airport and the CBD in Adelaide, South Australia and provides a comprehensive curriculum that meets the learning needs of the diverse range of students from our local Western Adelaide community. A broad curriculum including career advice. The Sports Academy that includes a specialised entry program for high achieving student athletes in 11 sports. Provision of high quality teaching and learning for students who are marginalised and have a significant intellectual and/or physical disability. Literacy and Numeracy in all learning areas. Please click on this link for the school's SIP .